Our screen porch designs section would not be complete without addressing the specific location for building your porch enclosure. Most of you know the prominent real estate mantra: Location, location, location. The same applies to where you will specifically locate your screened porch, too. Location is very important for several reasons - from legal restrictions to maximizing enjoyment. However, Mary and I realize that your porch's location will most likely be dictated by an existing deck, patio, or even local building codes. 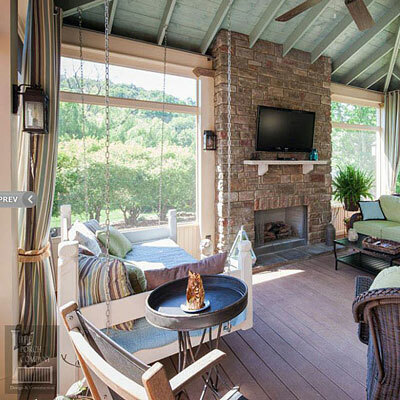 Built in the right location, this beautiful screen porch will be enjoyed for years to come. The first factors to consider for screen porch designs deal with the property itself: easements, setbacks, Home Owner Associations (HOAs), and topography (terrain and slope). Flowage Easement: You cannot alter or block water runoff depressions, gullies, or streams. 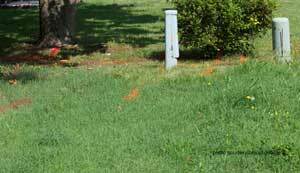 Utility Easement: You must allow access for utility lines and poles. Accessibility Easement: When properties are split, you must allow access, usually a driveway width, to the other property. There are also numerous other easements that could affect your screen porch location like right to light and view easements, and even historical and conservation easements. Your local planning department can give you additional information about the easements affecting your specific home. Setback requirements are generally based on the distance from the edge of the property to the new construction. Most municipalities have such restrictions and are normally 40 feet from the front, 15 from the sides, and 20 from the rear. We lived in a community where there was a 50 foot setback requirement from the street which subsequently prevented us from extending our porch. Any of the above could impact where you can locate a screen porch. Most municipal planning departments require a site plan; they should check to see if any of the above are in violation before a permit is issued. For most of us, our screen porch designs will not be affected by them but we know of cases where it has occurred. Love 'em or hate 'em, this is not a group you want to dismiss if you happen to live in an area controlled by one. 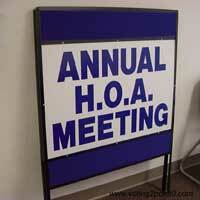 HOAs have immense legal power in the courts and it is very difficult to get a favorable ruling in most cases if you violate a rule. I've read about a neighborhood where several homeowners had to take down their screen porches because it violated their Home Owner Association (HOA) rules. The screen porch designs were beautiful but they lost their case in the courts; down they came and at their own expense. So before proceeding with construction, ensure your screen porch plans are in compliance with your HOA. 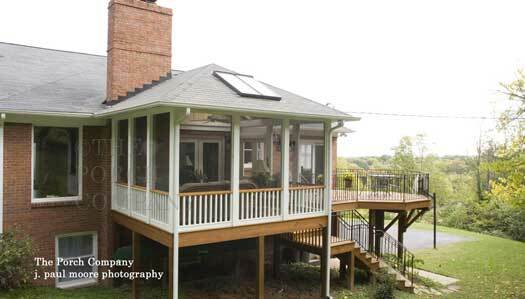 Features such as slope and terrain, can affect the location of your screen porch. 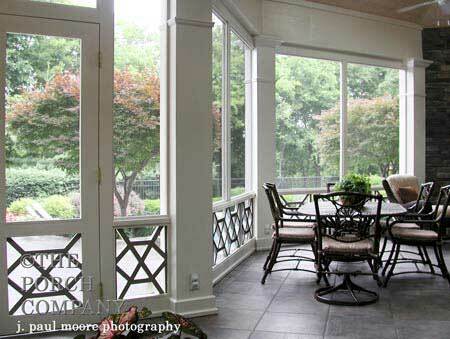 A steep slope or even moderate sloping may be excellent locations for a screened porch. Situations like this will usually require additional pier reinforcement subsequently increasing your costs. The advantage is that you would be using property that otherwise is unpractical for other purposes. Our rise and run guide (slope) can help you determine the slope of your yard. Landscaping should be considered in screen porch designs. Not only should landscaping be included in your screen porch designs planning process, it can also add other elements besides beauty. Shade trees can help keep the heat off your porch to keep it cooler. Landscaping can also be used to create privacy while relaxing or dining. 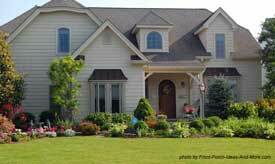 Use our landscaping section complete with photos, information, and ideas to plan your porch landscaping. You'll also want to take advantage of the prevailing breezes of summer. This will help to keep it cooler and more enjoyable. If you live in a windy area, you may want to place the screened porch in a location to avoid the wind. It's no fun eating outdoors when the wind is blowing everything off the table. 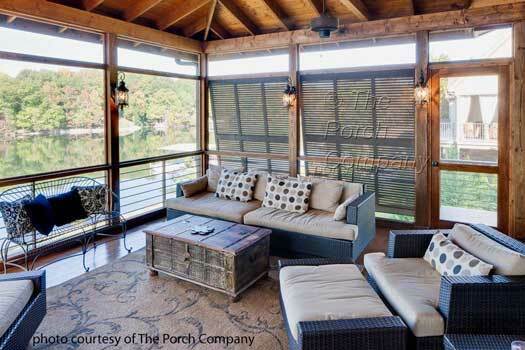 Porch blinds - that are tied down - may help reduce wind. Along with the wind comes the sun. 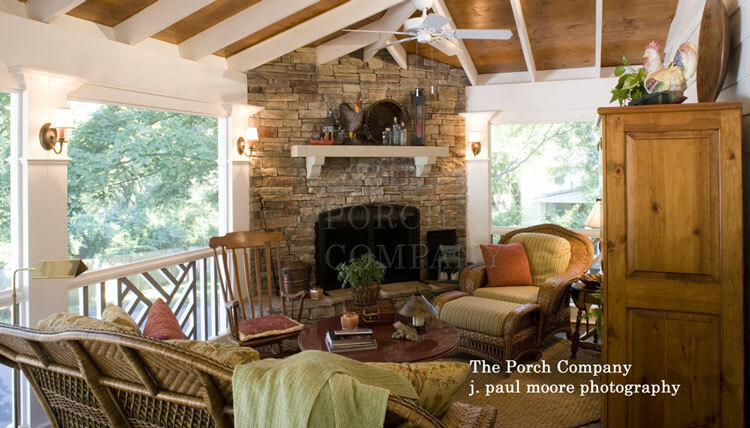 If feasible, locate your screened porch based on when you will be using your porch most of the time. If using it predominately in the afternoon, locating it on the west side of your home will be inviting both sun and heat. Conversely, if using it mostly for a morning cup of coffee, the west side would be ideal. Depending on your geographical area, placing it on the west side would give you added warmth during the cooler fall months. If you do not have a lot of choice, you can use outdoor porch blinds or shades to block both sun and wind. You'll also want to capture views of wildlife, the setting sun, or even your children playing in the yard. Views are important to most of us so it should play a major role in determining where you build your porch. You may want to position your screen porch to avoid unsightly objects such as your neighbors dilapidated shed or an untended swimming pool. In addition, consider noise levels. If you have noisy neighbors or live along a busy street perhaps placing the screened porch on the opposite side will help alleviate the intrusion. Lastly, consider traffic patterns in your screen porch designs. 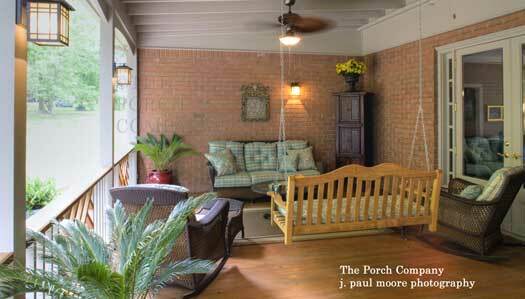 Does you porch give you easy access to areas of your yard or home that you frequent often? Do you have a garden that needs to be watered on one side but the faucet is on the other? Will your guests have to go through the kitchen to access the porch? Knowing your traffic patterns helps you determine door locations. Mary and I prefer two doors: a door on each side or one on a side and the other on the front of the screened porch. Consider these 10 factors in screen porch designs to prevent aggravation and increase your enjoyment.